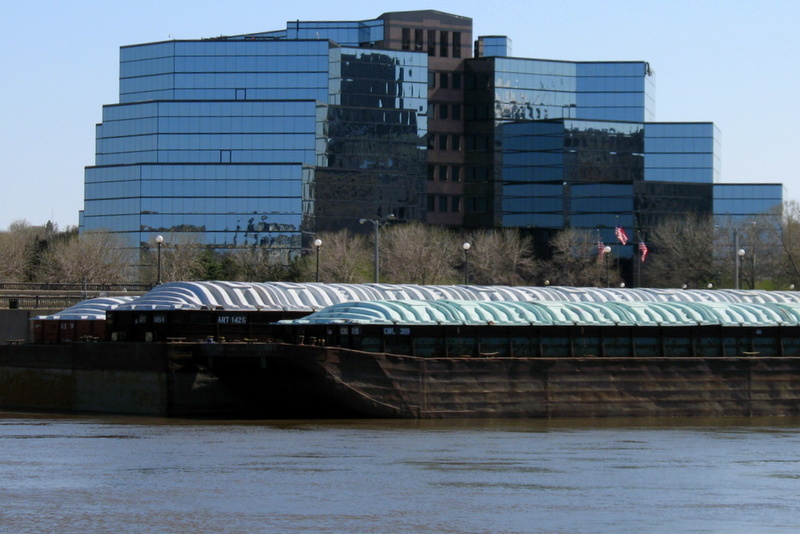 Where else can you find a beautiful, all glass building, with a river barge parked right in front of it? I'm across the Mississippi River with downtown St Paul nearly at my back for this shot. The two extremely different man made objects really contrast each other. I like this contrasting juxtaposition very much. Nicely done!